A few years ago I read the clever study by Kevin Croke that turned a short-term deworming impact study into a long-term one. Back in 2006, Harold Alderman and coauthors reported on a randomized study in Uganda of whether routinely giving children albendazole, a deworming pill, increased their weight. (Most of these children were poorly enough off that any weight gain was probably a sign of improved health.) In that study, the average lag from treatment to follow-up was 16.6 months. 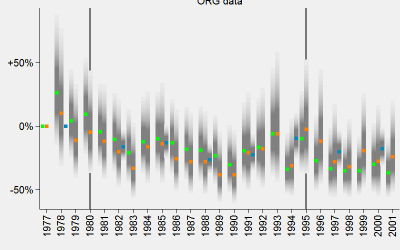 But randomized trials, as I like to say, are like the drop of a pebble in a pond: their ripples continue to radiate. Kevin followed up much later on the experiment by linking it to survey data from Uwezo on the ability of Ugandan children to read and do math, gathered in 2010–11. He obtained reading and math scores for some 700 children in parishes (groups of villages) that had been part of the experiment. This let him turn a study of short-term effects on weight gain into one of long-term effects on academic ability. In a standard move, the Croke paper clusters standard errors by parish, to combat the false precision that might arise if outcomes are correlated for children within a parish for unmeasured reasons. And because there are relatively few parishes—10 in the treatment group, 12 in the control—the paper uses the “wild cluster bootstrap” to interpret the results. 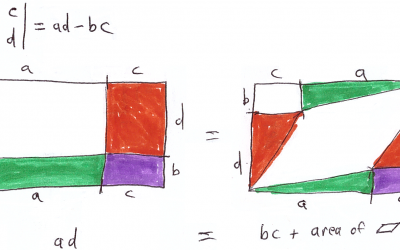 This method has become popular since Cameron, Gelbach, and Miller proposed it about 10 years ago. Kevin’s paper introduced me to this method. As a part of my effort to understand it, I wrote a code fragment to apply it. 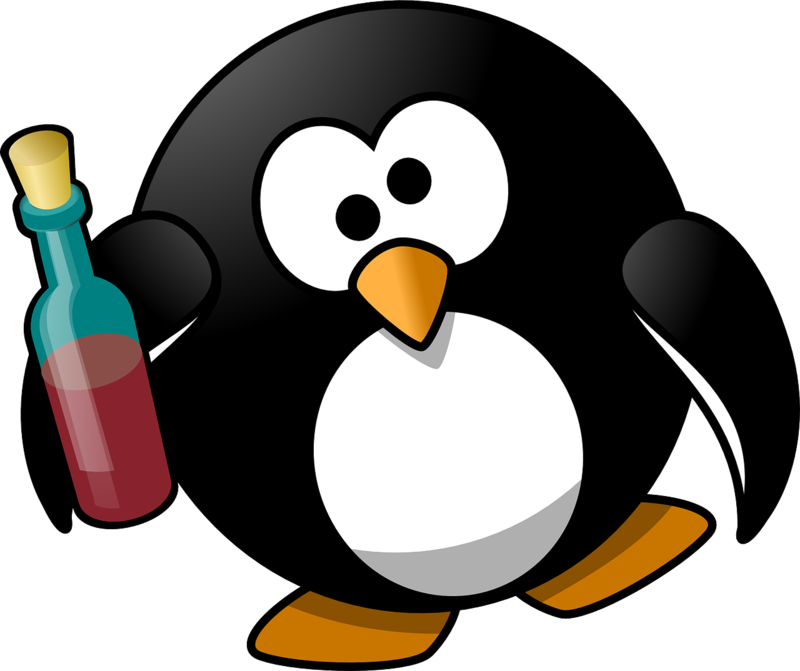 I quickly saw that the available programs for wild bootstrapping in Stata, cgmreg and cgmwildboot were useful, but could be dramatically improved upon, at least in speed. 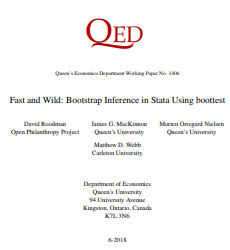 And so I wrote my own program, boottest, and shared it with the community of Stata users. As programs often do, this one grew in features and complexity, largely in response to feedback from users. In standard applications, like Kevin’s, the program is so damn fast it must seem like alchemy to new users, returning instantaneously results that would once have taken long enough that you could get a cup of coffee while you waited. The new paper offers a pedagogic introduction to wild (cluster) bootstrapping. I’m pleased and honored to have coauthored it with James MacKinnon, Morten Nielsen, and Matthew Webb. James in particular is a giant in the field; he coauthored many of the papers that led to the development of the wild cluster bootstrap (among numerous other methods), as well as a leading textbooks on econometrics. The new paper also divulges the secrets of boottest’s speed. I think there’s a lesson here about just how much more efficiently mathematical code can sometimes be made to run when you carefully state and analyze the algorithm. And in computationally intensive techniques such as bootstraps, speed can matter. After releasing and blogging a paper in December about the GiveWell replication of Hoyt Bleakley’s study of hookworm eradication in the American South, I submitted it to the Quarterly Journal of Economics, which published the original paper in 2007. Around the first of the year, QJE rejected the paper, enclosing comments from four reviewers, including from Bleakley. The comments were very helpful in identifying errors in the replication, suggesting new things to do, and pushing me to sharpen my thinking and writing. I just posted a new version. The story does not change. As a result, I am more sure now that the relative gains in historically hookworm-burdened parts of the South continued trends that began well before and, in the case of income, continued well after. I made two significant substantive changes, both of which strengthen my skepticism. 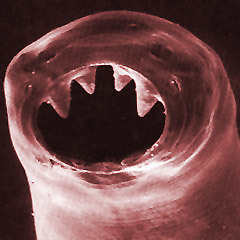 On GiveWell.org, I just blogged a new study revisiting the evidence on whether the campaign in the 1910s to rid the South of hookworm brought major benefits. A great 2007 paper by Hoyt Bleakley suggests that it did: after eradication school attendance rose disproportionately in historically hookworm-heavy areas; and adult earnings of babies born in affected areas also later rose. 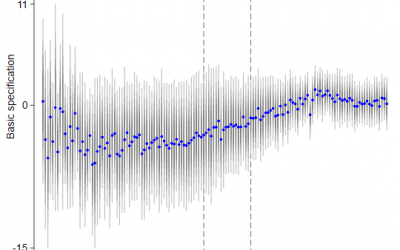 The new study revisits Bleakley’s original by reconstructing its database from primary sources, and replicating and revising the analysis. I ended up strongly questioning the original study’s conclusion. These two pairs of graphs show why. 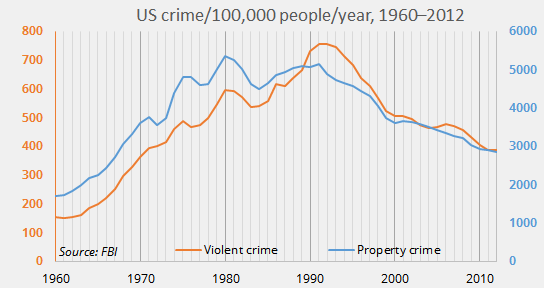 The first graph in each pair is from the original study, the second from the new version. The original graphs seem to show jumps in outcomes of interest—school attendance, earnings—but the new ones do not. So, once more, academics are arguing. And concerned observers are confused by the dueling contentions and graphs. In an attempt to clarify, I’ll make a few points. Disclosures and disclaimers: I used to work for the Center for Global Development, where I was a colleague of Michael Clemens. Now I work for the Open Philanthropy Project, which provides general support to CGD and specific support for Michael’s work on migration. This blog post represents my personal views and does not speak for the Open Philanthropy Project. 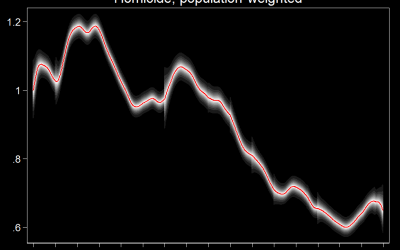 I have a new post on openphilanthropy.org suggesting that there was indeed an urban crime wave in the US in the last couple of years, but that it was mainly restricted to homicide and assault with a firearm, and may well have peaked last year. In 1980, Fidel Castro suddenly allowed thousands of Cubans to leave the country—if they could find a way out. 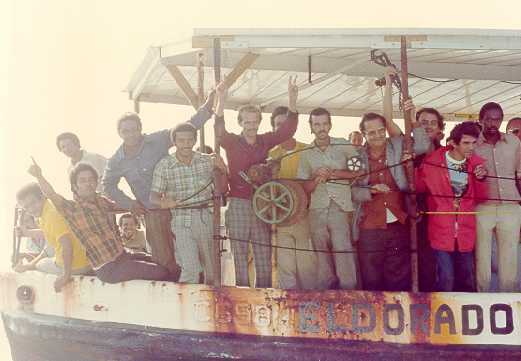 Americans, many of Cuban extraction, swooped to the rescue by bringing lots of boats to the Cuban Port of Mariel. It was called the Mariel boatlift. Some 125,000 Cubans moved to America in a matter of months and perhaps half settled in Miami. 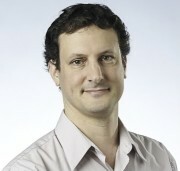 Some 10 years later, economist David Card viewed the Mariel boatlift as a natural experiment and used it to study how immigration affects wages and employment in the receiving country. He concluded there was not much discernible impact in Miami. His paper is seminal, both for its counterintuitive finding and for its introduction of the natural-experiment approach to the study of immigration’s impacts. Last month, George Borjas, an economist and Cuban emigré himself, revisited the data and came to opposite to conclusion from Card’s. The boatlift hurt the wages of low-education Miamians. So I dug into the data. Borjas’s work ended up not convincing me. More on the GiveWell blog. The second post in my series on geomagnetic storms is up on GiveWell.org. It is arguably the most important and interesting in the series. It explains why I think past storms, reaching back to 1859, were probably at most twice as strong as anything our electricity-dependent societies have experienced in recent decades—and shrugged off. Do you remember the great storms of 1982 and 2003? I didn’t notice them either. 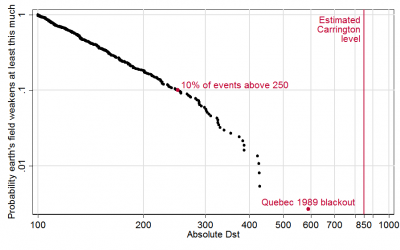 And probably you survived the Québec blackout of 1989, which was mostly over within 11 hours. Yet maybe that last doubling in storm intensity would inflict far, far more than twice as much destruction on the grid. 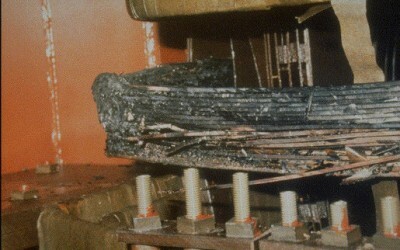 Or maybe the grid has become much more vulnerable since 1989, even though grid operators have learned from that experience. It’s also possible I’m wrong that doubling is the worst we should fear. For all these reasons, I still think the threat deserves more attention from researchers, industry, and governments. As I mentioned in my previous post, the strongest proponent for the view that the worst case is much worse, is John Kappenman, who has argued for a multiplier of 10 rather than 2. 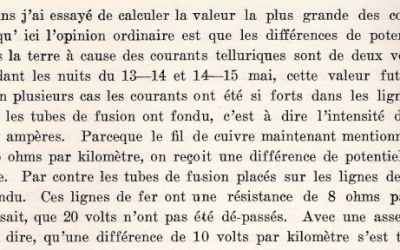 In the new post and the report, I trace this number in part to an obscure book of scientific scholarship written in 1925 by a Swedish telegraph engineer in French. The search involved talking to an electrical engineer in Finland, people at the Encyclopedia Britannica in Chicago (who were very helpful), and ordering said obscure book from a German book shop. Author David Stenquist describes how the storm of 1921 caused copper wires running into a telegraph office to melt—but not iron ones. He deduces that the storm-induced voltage on the line could not have been as high as 20 volts/kilometer. Yet through a scholarly game of telephone over the decades, this observation got turned on its head. Below is a key section I scanned from the book’s yellowed pages. For more, read the post or the report. 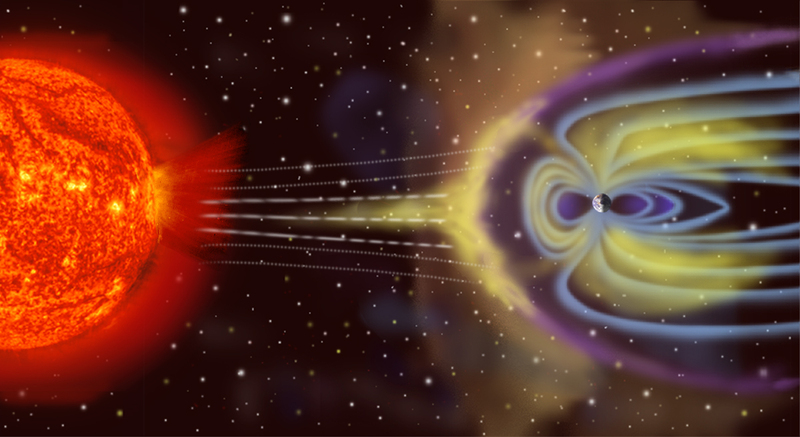 My long-promised report for the Open Philanthropy Project on geomagnetic storms is posted. (Data, code, and spreadsheets are here.) The first of a series of posts based on the report just appeared on the GiveWell blog. This has been one of the most fun projects I’ve worked on because it slices across so many disciplines, from statistics to power engineering to astrophysics. My grasp of those subjects declines in the order listed…but I think I learned enough to reach a preliminary assessment. The risk that a major solar cataclysm could so disrupt the earth’s magnetic field as to deprive continent-scale regions of power for years looks low to me—lower than the most attention-getting voices, almost by definition, have suggested (Pete Riley, John Kappenman). Nevertheless, a long-term, large-area blackout would do so much harm, and the risk is so poorly studied, that it absolutely deserves more attention from researchers, industry, government, and philanthropies. My preliminary risk assessment could be wrong. I just discovered that an elite, independent scientific advisory group for the US government arrived at a similar conclusion in 2011. It follows that the most emphatic analysts, even if they have overshot, have done a service by drawing attention to the issue. This is for me a familiar paradox.